A new explosive report from the New York Times alleges that Deputy Attorney General Rod Rosenstein wanted to secretly record President Trump in the spring of 2017. He made the suggestion to then-acting Director Andrew McCabe shortly after Trump fired FBI Director James Comey and McCabe jotted it down, the editors write. Rosenstein had only been in his White House position for two weeks when all of this was unfolding. 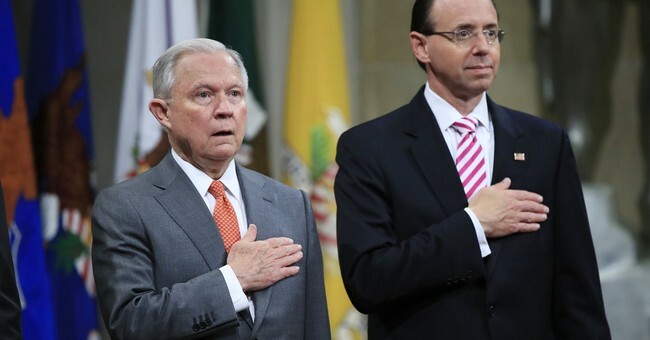 The report goes on to suggest that Rosenstein was willing to wear a wire and convince Attorney General Jeff Sessions and Chief of Staff John Kelly to invoke the 25th amendment. Rosenstein has already released a statement, saying the NYT report is incorrect. Andrew McCabe released his own statement, noting that all of his memos have already been provided to special counsel Robert Mueller. He is unsure how the media got its hands on the documents. Some may take this report as more proof of a "deep state" in Washington. A few weeks ago, a senior White House employee wrote an op-ed in the New York Times revealing that he or she was a part of the "Resistance" movement and working to undermine the president. That person remains anonymous. Others, however, say the NYT report is outlandish.